Zoom In on Your Customer Data and Zero In on Marketing ROI. 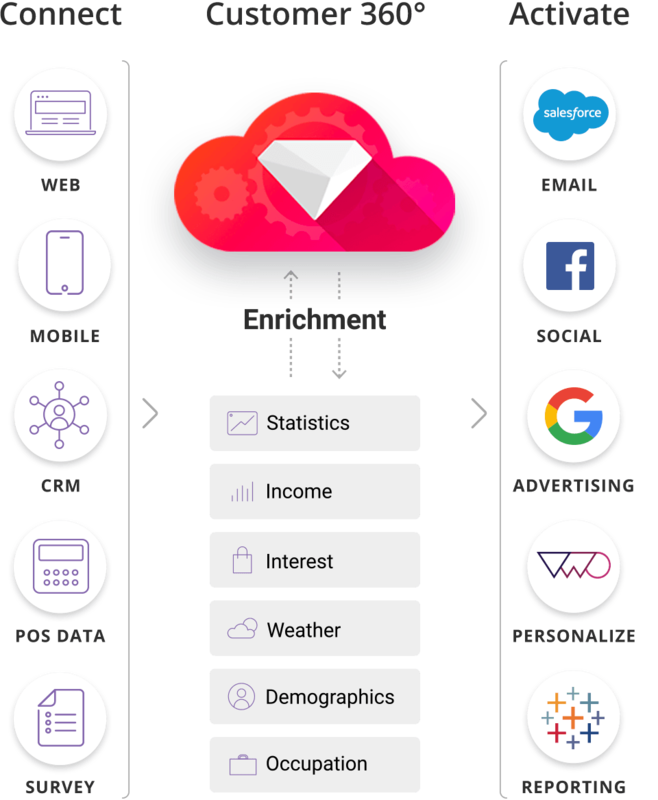 Treasure Data gives marketing technologists the ability to connect and own all data to acquire customers effectively and provide premium experiences at scale. Connect the dots of your customer touchpoints to create smarter campaigns. Get personal with the 20% of customers who generate 80% of your sales. Deeply understand their needs in order to win their hearts. Improve retargeting accuracy and ROAS by connecting your customer data with advertising data, creating optimized audience segments and automating the whole process. Capture your customer interactions cross-device and online-to-store, build a unifed view of customers, and deliver premium customer experiences at scale. 91% of the Internet still use email everyday to shop online. Send personalized emails based on customer data, delight and engage every customer and boost your brand loyalty. ity into your lead funnel and customer journey. You can finally calculate the value of your multi-touch campaigns with flexible attribution models. Automate the process of creating Facebook audiences, Mailchimp lists and Marketo campaigns. No more CSV downloads and Excel copy-and-pastes. Create customer segments however you want and update them dynamically with a full range of tools: SQL, Machine Learning and visualization. We collect more than 1,500,000 customer interactions every second. We’ll always have the scale to support your business.